The Clay Studio in Philadelphia was founded on the utopian premise that artists could work together to provide mutual support and teach skills to make art available to all people. View work by those who have helped shape the Clay Studio into an organization that truly makes a positive difference in the world. Artists include:Jill Bonovitz, Jimmy Clark, Candy Coated, Linda Cordell, Matthew Courtney, Kathie Regan Dalzell, Jennifer Martin, Janice Merendino, Kathryn E. Narrow, Claire Shenk Rodgers, Hide Sadohara, Amy Sarner Williams, and Ken Vavrek. The American Craft Council celebrates the ceramic arts and its cultural legacy with a presentation of objects and materials from our library and archives. Artists include: Ken Ferguson, Otto and Vivika Heino, Karen Karnes, Harvey K. Littleton, Ted Randall, Daniel Rhodes, David Shaner, Toshiko Takaezu, Byron Temple, Robert Turner, and others. Please stop by to view these two wonderful displays of work presented in conjunction with the 2019 National Council on Education for the Ceramic Arts (NCECA) conference. At 7:30 p.m., Jennifer Zwilling, the curator of artistic programs at the Clay Studio in Philadelphia, will give an informal talk about the “Creative Collective” exhibition. 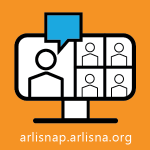 ArLiSNAP (Art Library Students and New ARLIS Professionals) and VREPS (Visual Resources Emerging Professionals and Students) are pleased to announce our 2018 Fall Virtual Conference: New Media Challenges and Solutions for Art Information Professionals. The conference will take place at 1pm CST November 10, 2018. New media art, objects, and scholarly projects in the digital realm are challenging our traditional definitions and methodologies for collection, preservation, and research. We are pleased to welcome keynote speaker Coral Salomón, Digital Initiatives Librarian at the University of Pennsylvania. Our keynote lecture will be followed by an hour of presentations and a period of questions and conversation with our panel of speakers and conference attendees. Michelle Wilson, ArLiSNAP Conference Planning Liaison and Digital Publishing Librarian at Columbia University, will moderate the discussion.